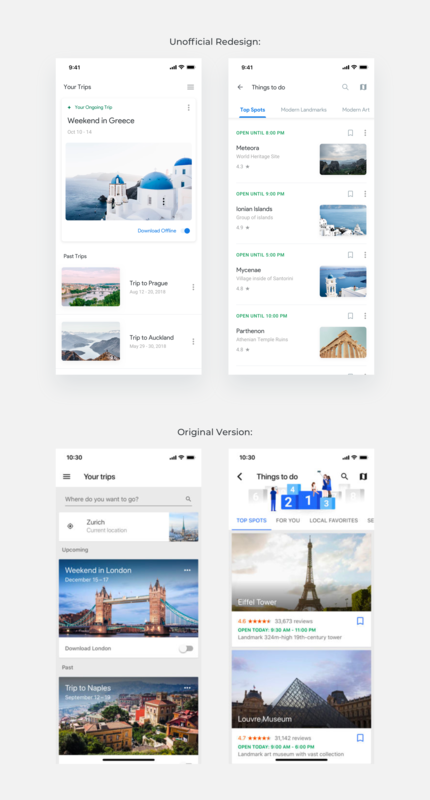 Brief: To redesign the Google trips mobile app with the 2018 Material design guidelines. 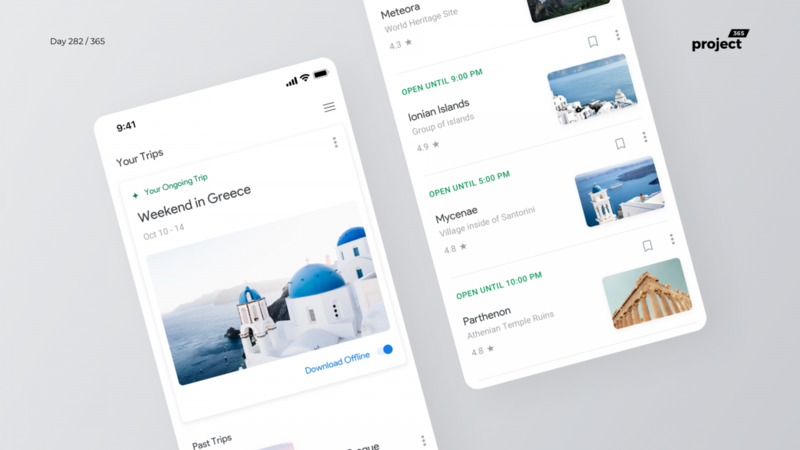 Here’s one more from Google’s new Material Design series. Google Trips is one hell of an app that helped me immensely on a recent trip of mine. It is a very under-rated application from Google but it still had some flaws like you could not share trips with friends, chat with friends and plan together. Although I am not pitching that particular feature in this shot, I went ahead and redesigned other elements with the new material guidelines from Google. Also, I would be glad to post a follow-up shot of how Google Trips can add the “trips with friends” feature in the app.